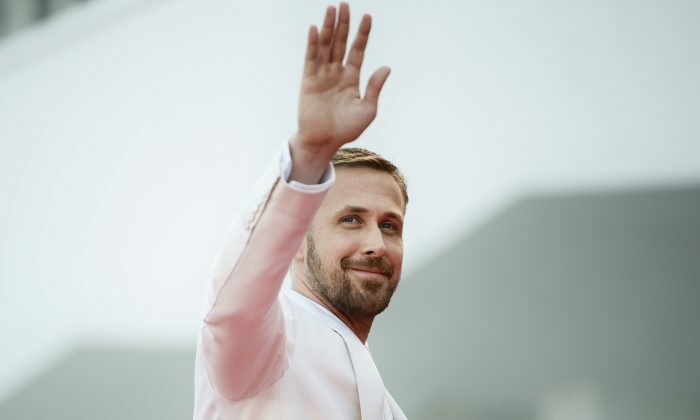 Ryan Gosling has finally paid a cafe a visit during the Toronto International Film Festival on Sept. 12, after the cafe officially made him the major part of their “#Ryanneedsgrinder” campaign–as a cardboard cutout–on Twitter. In order to lure the Golden Globe-winning actor to visit the cafe, the owner Joelle Murray and patrons have been tweeting photos on and off of them and the cardboard during the 10 days before Gosling was actually convinced by his mother to call on the cafe, according to CTV News. “She has free coffee for life at Grinder whenever she wants,” Murray told CTV News. They even won over the support from Toronto’s mayor John Tory, who swung by on the day the cardboard was unveiled. Mayor Tory tweeted “Got my morning coffee at @GrinderCoffeeTO today and checked out their campaign to get @RyanGosling to visit during @TIFF_NET,” attached with a photo of him and the Gosling cardboard. On the day when Ryan Gosling arrived in Toronto for the screening of his latest movie “First Man,” the cafe reminded him with a screenshot of Google Map, showing him the way and joking about paying for him to uber there. According to CTV News, Murray said the star only stopped by to greet her and the staffs at Grinder Coffee for a few minutes.